This study evaluates comparative effectiveness of teaching modes i.e. video programmes, tutorial, textbook, and online web being used in Distance Education system of Chinese Open University, Beijing. Special emphasis has been given to video programmes. Population of the study was graduate students enrolled in different courses having online and video programmes along with tutorial and textbooks at the Beijing Study Centre of the University. A sample size of 300 including both male and female students was selected, and data were collected through a selfadministered questionnaire. Besides teaching modes, students’ demographics as well as the reasons for studying distance education were variables of the study. 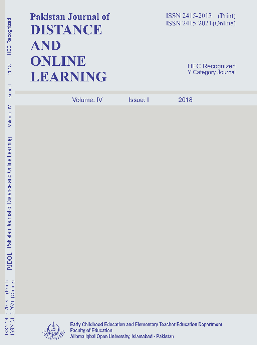 The findings showed that online teaching is popular among students of distance education system. It was also found that video programmes were also considered a relied source, and deemed as helpful and relevant in overcoming language-related problems, understanding textbooks, motivating for future studies. The major reasons for opting distance education system was found to be customization of the learning materials, and learners’ pace and ease. 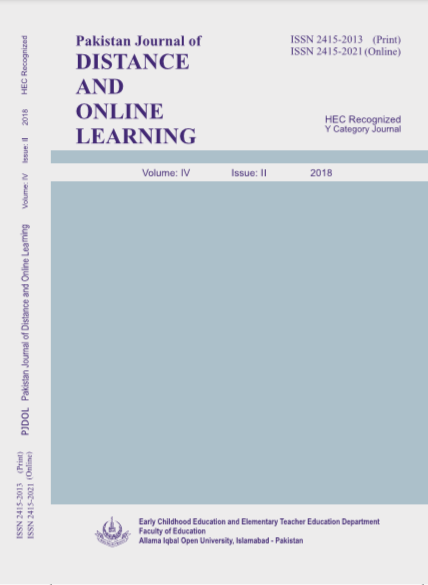 Although technology has brought changes in the delivery and reception of contents of distance education system but the study shows that books and tutorials (teachers) have still not lost their worth.